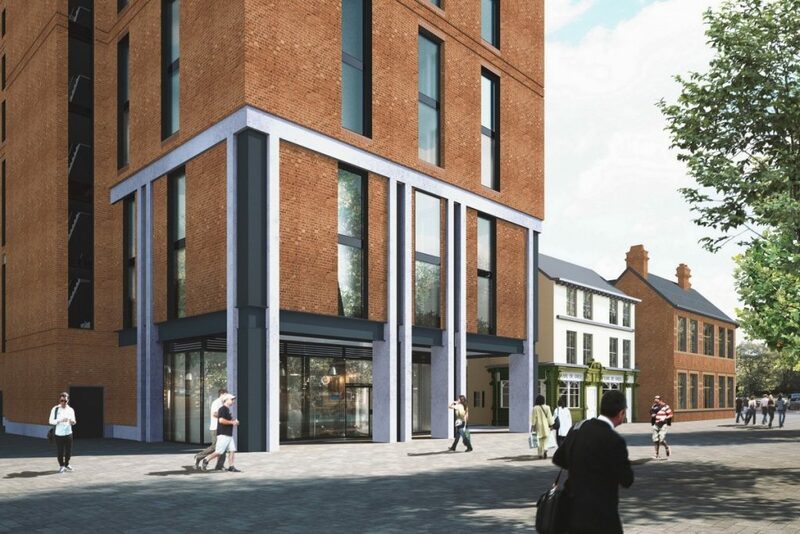 Plans have been revealed for a nine-storey hotel with rooftop sky bar offering spectacular views of Hull’s waterfront, as part of a scheme that would also secure the future of the historic Earl De Grey pub. A planning application has been submitted to Hull City Council by Castle Buildings LLP, a joint venture of leading Hull-based developer Wykeland Group and Princes Quay Developments, owner of Princes Quay Shopping Centre. 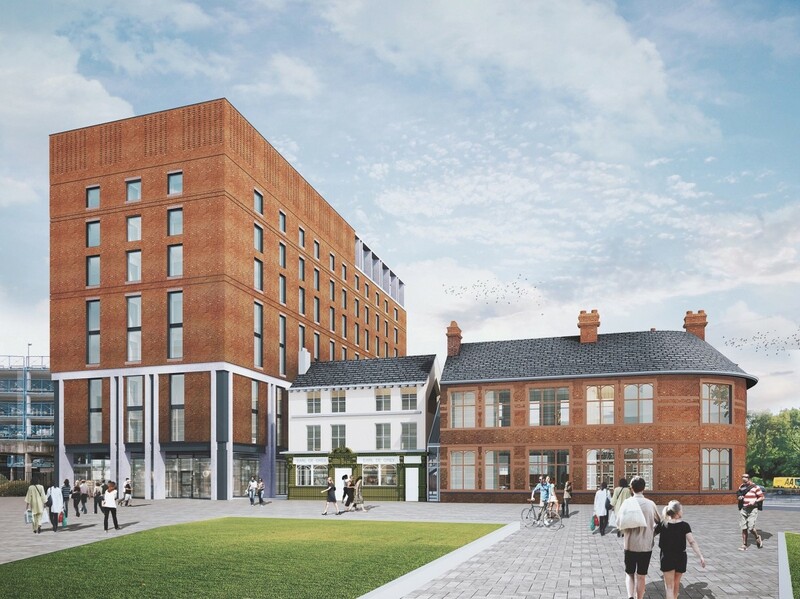 The plans aim to revive the Castle Buildings site, close to the new Bonus Arena, breathe new life into two historic buildings that have been derelict for many years and bring a much-needed new upscale hotel to Hull city centre. The development would involve a £20m investment and create around 120 full and part-time jobs. The centrepiece of the proposed development is a new, 52,000 sq ft hotel which will have 150 bedrooms and a rooftop sky bar with south-facing terrace offering stunning views over the Marina, the Old Town and the Humber estuary. A view of the proposed new nine-storey hotel, also showing the new Princes Quay footbridge, currently under construction, as seen from the south east side of Castle Street in Hull. The scheme also includes the relocation of the main part of the former Earl De Grey pub and refurbishment of the neighbouring Castle Street Chambers building, as well as creating a new, high-quality area of public realm, including a south-facing piazza. 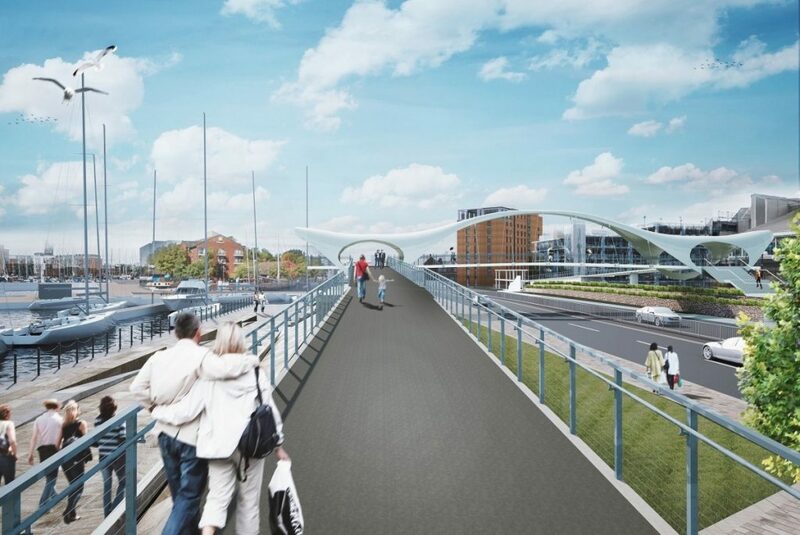 The development will create an attractive new pedestrian route from the Bonus Arena to the new Princes Quay footbridge, currently under construction, and the thriving Marina and Fruit Market areas. The plans have evolved from consultation with Hull City Council planning, conservation and highways officers and planning committee members, as well as Historic England, over the past two years. They have also been reviewed and supported by an independent Design Panel which concluded the proposals for the listed buildings were “a clever and rational response, which optimises the qualities of both buildings”. The entrance to the proposed new upscale hotel, with the Earl De Grey and Castle Street Chambers buildings to the right. The buildings are planned to face towards the Bonus Arena. Castle Street Chambers and the Earl De Grey buildings are both grade II listed. Castle Street Chambers was built in 1900 as offices for Hull steamship owners and brokers Messrs G R Sanderson, but the building has been unoccupied since the 1970s. The interior is in a state of dereliction and the whole building has been supported by a protective scaffold for more than 10 years. The Earl De Grey dates from the 1840s, when it was first known as the Junction Dock Tavern, and has been closed for many years. The Earl De Grey building would have had to be demolished or relocated in any event to allow for the planned A63 Castle Street improvement works. However, the new plans would see the main shell and frontage of the Earl De Grey building moved from its isolated position on Castle Street to face Waterhouse Lane, where it would form part of a new “active streetscape”, alongside the hotel and Castle Street Chambers, facing the Bonus Arena. The Earl De Grey and Castle Street Chambers buildings would be completely repaired and renovated and linked by a new glazed extension, in order to bring them back to life as restaurants, cafés, bars or potential office use. Jonathan Stubbs, Development Director of Wykeland, speaking on behalf of Castle Buildings LLP, said: “These plans are the result of a great deal of consideration and consultation to create a development that unlocks the potential of this key site.